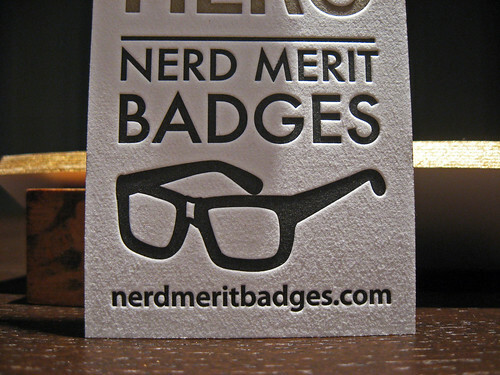 Sweet letterpress cards we printed for a special “printer” themed Nerd Merit Badge. 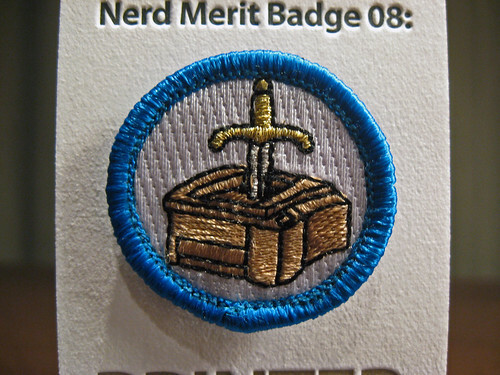 Don’t know what Nerd Merit Badges are? Well you obviously have been living under a rock, so get out from underneath it and check them out. 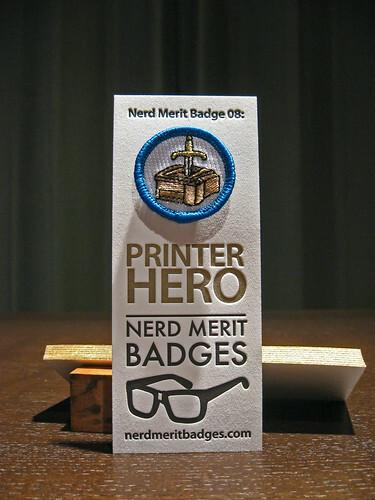 Randy and John, the head honchos at Nerd Merit Badges came to us with a request for special backs to mount a “Printer-Hero” merit badge to. They designed the card and we threw metallic ink and gold edge coloring at it to be sure that these were cards no laser or inkjet printer could make. The backs were printed on 220# pearl white cotton paper and letterpress printed in black and metallic gold. 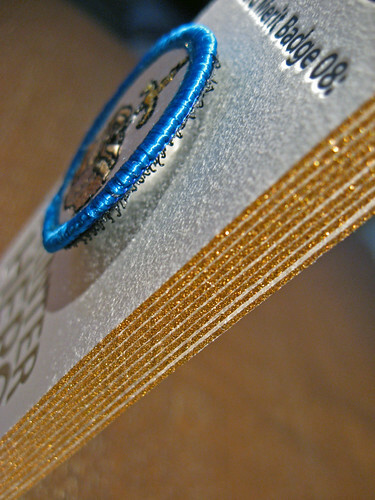 Once printed, the letterpress backs were trimmed down and edge colored using a metallic gold color. The edges really pop with the gold metallic flakes. The badges are adhered to the backs using velcro, which makes them easy to remove. 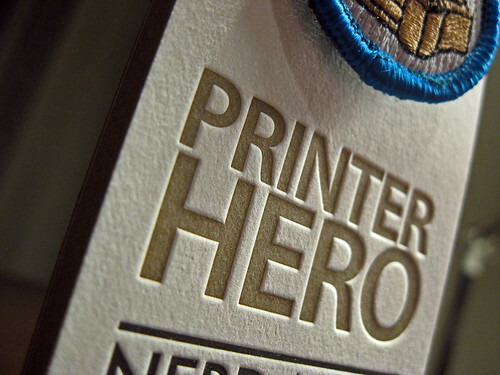 As printers by trade we’re honored to have a printer hero badge. If you want one for yourself visit NerdMeritBadges.com to get your own. The letterpress-backed Printer Hero badge is currently selling for $12.99, while the other badges sell for $5.99.